Jack Ma, the executive chairman of Chinese e-commerce giant Alibaba, has said he plans to step down in a year. The news, in a letter sent by Mr Ma to Alibaba customers and shareholders, follows conflicting reports over the weekend on the timing of his exit. Mr Ma, one of China’s richest men, will hand over the reins to Daniel Zhang, currently chief executive. Alibaba is one of the world’s most valuable companies – its shares nearly doubled in value last year. Mr Ma, previously an English teacher, co-founded Alibaba in 1999 and has seen it become one of the world’s biggest internet companies. “Teachers always want their students to exceed them, so the responsible thing to do for me and the company to do is to let younger, more talented people take over in leadership roles,” Mr Ma said in the letter, released on his 54th birthday. 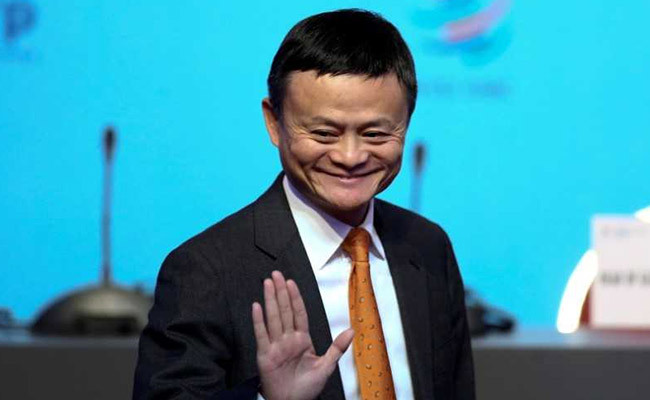 Mr Ma, who has a current net worth of $36.6bn (£28.34bn), will remain a director on Alibaba’s board until its annual shareholder meeting in 2020. He is a permanent member of the Alibaba Partnership. The charismatic Mr Ma, who is known for dressing like a rock star, said he wanted to return to education. “The world is big, and I am still young, so I want to try new things,” Mr Ma said, adding he plans to continue in his role as founding partner. He said Mr Zhang, who has been with Alibaba for eleven years, had demonstrated “superb talent” since taking over as chief executive. Alibaba listed in New York in 2014 in what was then the world’s biggest initial public offering of shares. It reported revenues of $39.9bn for the fiscal year ended March 2018.